Do you want building materials that are low-maintenance, environmentally friendly and sustainable? PLR Distribution is a wholesale sustainable building material distributor serving the needs of retail lumber dealers, building material dealers and distributors, manufacturers and independent home improvement centers throughout Oregon, Washington, Idaho, Alaska and Hawaii. We provide leading, national brand PVC decking, PVC railing, structural polymer fence material, plastic lumber, timbers, siding, exterior Trim & Corner PVC boards, hardwood flooring, wall paneling and accessory products that propel our customers to the top of their markets. But, it is our service that wins customers. If you are looking for great products, world class service and a helpful, knowledgeable staff give us a call. We can help you and your company become market leaders in sustainable building materials products and more. We look forward to the opportunity! Tim has been working at PLR for 10 years now. He is the Distribution Manager and area Sales Manager. His expertise is in sales and product training as well as inventory purchasing and control. He is a proud father of three adult kids. One girl and two boys. Tim is always available to help. 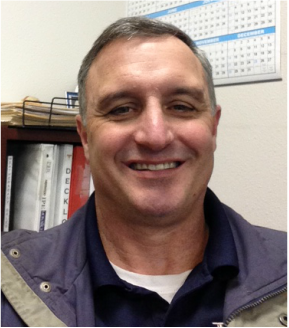 Jeff prides himself in his listening abilities and truly understanding the customers challenges. He believes that investing his energy into people and ideas can lead to new exciting breakthroughs. Jeff was a manager with UPS for over 25 years, before leaving to pursue new opportunities with like-minded friends and family. He is new to PLR, but is excited to work with the team to find new ways to progress. 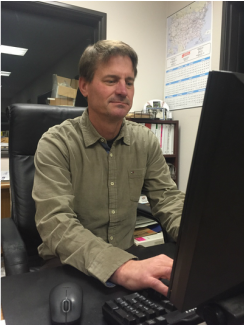 Jeff is passionate about eco-friendly construction, preserving the environment, and creating company culture.